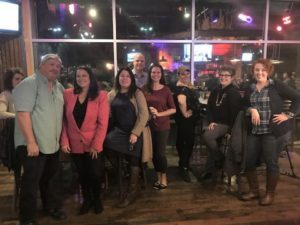 The Covington Chamber offers tons of great opportunities to connect with other local business professionals. From meeting like-minded people who will be an encouragement to you in your business, to meeting people who need your services or products — effective networking can be a big boost! Many of us start out thinking it should be easy: we smile, we shake hands, we build connections — that’s all there is to it, right? But when we’re faced with a room full of new people, it doesn’t seem so straightforward. The key is to go in with a plan. Here are 6 strategies you can use to successfully connect at your next networking event! 1. Know why you’re attending. What are you hoping to achieve at this event? Our goals may vary from event to event — we might be hoping to meet a specific person. We may want to connect with as many people as possible to identify the handful we want to follow up with afterward. Sometimes, we may come purely to socialize with friends (and that’s okay!). Setting our intention for the event helps us make good decisions about how we spend our time. (For our purposes, the rest of these tips will assume you’re attending an event to do the very best networking you can). 2. For non-meal events, consider eating beforehand. If you’re there to really work the room, you need both hands free for shaking hands and exchanging cards. (And it’s easier to chat if you’re not chewing!). 3. Move! Introduce yourself! Avoid the temptation to show up, sit down, and stay put for an hour in a comfortable spot with people you already know. Networking requires us to reach out, often beyond our comfort zone. It gets easier with practice. Set a goal to introduce yourself to at least 5 people. 4. Know how to handle business cards. If you have pockets, keep cards you’ve been given in one pocket. If it helps, subtly bend the corner of cards you’ve received from people you know you want to follow up with. Keep your cards in the other pocket for easy access. If you aren’t wearing clothing with pockets, keep your cards in one hand and carry a bag with an outside pocket you can easily slip new cards into. The key here is easy access with no fumbling. 6. Practice that commercial or elevator pitch! Don’t draw a blank when someone asks you what you do! Be prepared. Come up with a few sentences that describe what you do or what your business provides. Then practice, practice, practice. With family and friends, in front of the mirror . . . even in the car on the way to your event! Try these strategies at your next networking event — they will definitely help you make more successful, authentic connections (and you’ll probably have more fun, too)! Stay tuned for more network conversation and follow-up strategies and tips in Part 2!